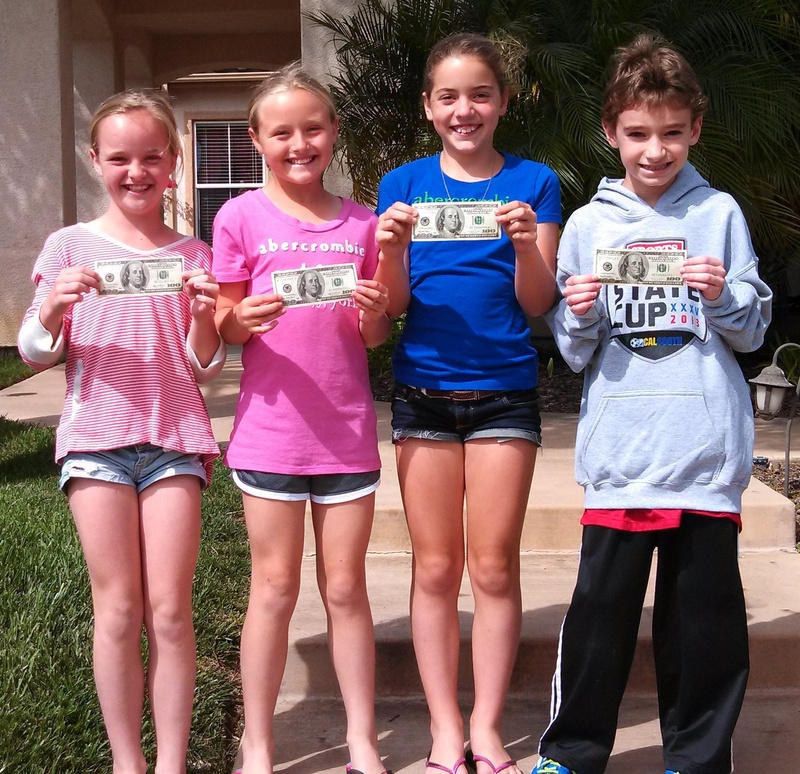 Knock, Knock – Bake Sale (Not April Fool’s) 4/1/2013 | Travis the Warrior --- Kickin' Cancer! Knock, Knock, its Abbie, Emily and Courtney (Debbie and Heather too)! Apparently the girls decided they were going to do a cookie bake sale to help Travis with his travel to Houston or at least to help cover his McFlurries while we are there. No, this is not an April Fool’s joke…this is real! So, they baked and they sold, they baked and they sold, and they baked and they sold some more. They sold to family, friends and neighbors. Evidently the cookies were so good and their sales technique was so irresistible that they were able to raise a box of money. Are you kidding me? Literally a box of money called “Travis’ Travel Funds!” This most generous gift will cover the cost of airfare for one us to travel back and forth to Houston every weekend we are there. The word on the street is that those are some good cookies made by some special people. Thank you to the bakers, Abbie, Emily, Courtney, Debbie, Heather and to all of your “customers” from the bottom of our hearts! Yesterday, we were just saying how fortunate we are to be surrounded by so many positive people and we are truly blessed to have YOU in our lives! Those must have been some good cookies! And then if things couldn’t get any better, the Anderson family brought a great dinner for us. 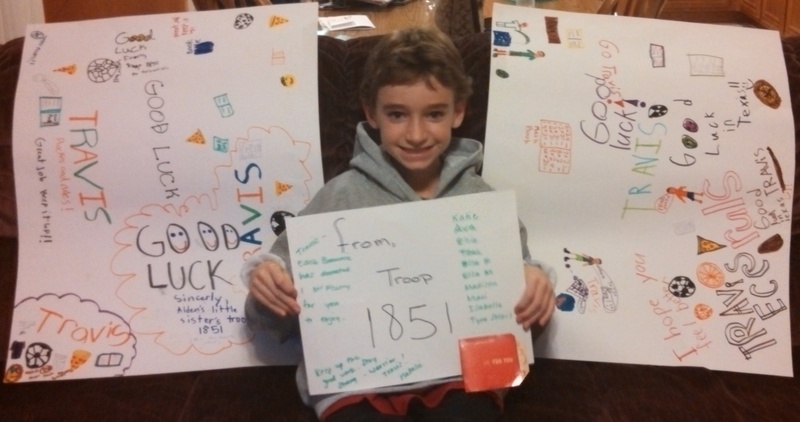 It just so happens that they are also part of Brownie Troop 1851 who decided they would make some posters for Travis and each Brownie member donated the cost of a McFlurry so that Travis will not have to worry while we are in Houston. They do have McDonalds in Houston, right? As we write this, we are so choked up and still in disbelief. Words cannot express how grateful we are to have such wonderful friends who would go to these extremes for Travis (and us). You all are such amazing and caring people.